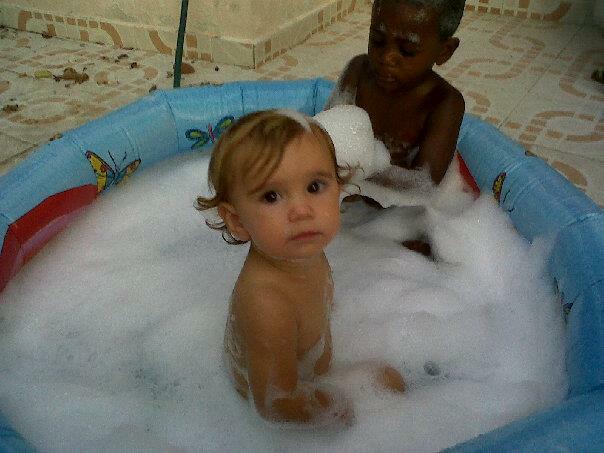 My toddler playing in the bubbles with her buddy Isaac. I decided to take advantage of this night waking and journey back a little to a place my heart doesn't want to go. I have been running from writing this for too long. Two and a half years ago, I sat in an office in Asheville, NC, looking for peace in my heart and plunging head first into a journey that I had no idea would bring me to where I am. I began loving and pouring my time into a country I never dreamed I would end up in. In the process, I began loving and pouring my heart out to a tiny 2 year old in a small orphanage in that country. To say I was grabbed with a passion I have never felt before would be an understatement. One could simply look back at my blog entries (all two or three of them) and see the excitement. So rich was that excitement, that my blog stayed empty most of the time, as I spent hours and hours doing and researching, in search of a plan to bring this sweet little girl home to live with Matt and I. I was so engrossed, in fact, that at one point, my sweet husband asked me to reassess what was important to me - him or this new infatuation with the country and the girl. Don't get me wrong - he loved this little girl too, but there was a slow fade happening with me that he was keenly aware of. One that was taking me far from the priorities that I would readily verbalize if asked. "oh sure - as a woman of God, my God comes first, husband second, and ministry/passions, 3rd." His recognition of this shuffling of goals came as a surprise, but a welcome one all the same. 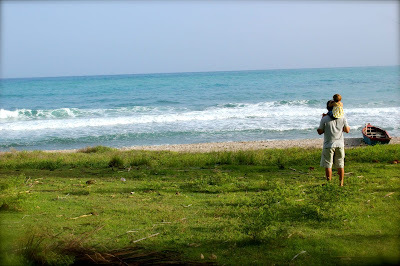 This country - Haiti - and mission I had fallen in love with, including my love for little Ashley, very prayerfully took a backseat, as I vowed to pray more and research/agonize/scramble less. Hence, the reason for the adoption blog stopping so abruptly. About the same time that the blog entries stopped, my hope began to wane. We had been fighting in every avenue we could think of to get our sweet Ashley home, and though we had felt the Lord pushing us to pursue her and this process, we kept getting road blocks that left us puzzled at every turn. I had never felt so sure of anything in my life that seemed to be moving in no direction at all. The last time I had visited Ashley was in October of 2010 where I also found out we were pregnant with our first biological child. What a blessing we had been given! However, my first thoughts were ones of fear instead of immediate contentment and excitement. I have always wanted to be a mother both to biological children and adopted. We had been told that having biological children at that stage in adoption was a mark against us, and as crazy as this sounds, I was immediately troubled at this new life growing inside me, thinking we had jeopardized our sweet Ashley's potential position in our family. While this may sound insane, it was a natural outpouring of my stream of consciousness. Thankfully, even though my worry was futile from the outset, I was also assured by the lawyer that all would be well and the pregnancy was not a mark against us. This all played out in October of 2010. After telling Matt on skype that we were pregnant :-), I was quickly and lovingly ordered to be as careful as possible and to come home with no plans to return. The growing baby in my womb needed priority and God would tell us what to do in the meantime as HE took care of Ashley when she was out of our ability to care for. 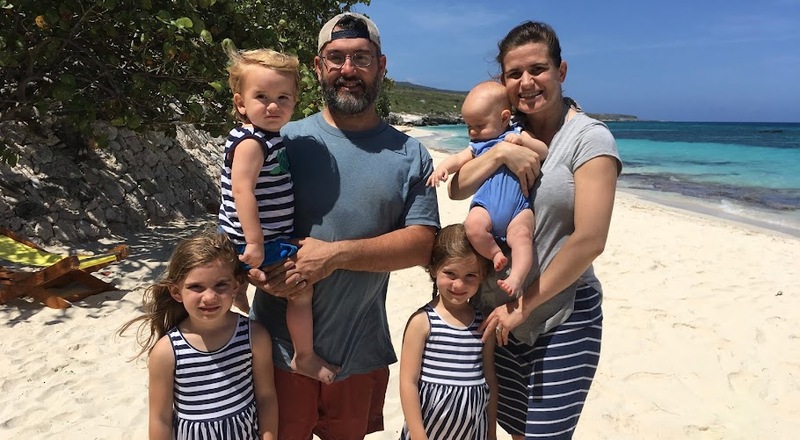 Months passed, and the continued word from the lawyer in Haiti was that we needed to wait until the laws changed to actively pursue Ashley or we would be wasting money and spinning our wheels. So we waited and waited while I became a first "all the time" mom, though I had been a mom in my heart for more than a year by then. I enjoyed every moment of growing, delivering and raising Willow that summer, including living in three places between the school grounds, our new cabin, and camp. All the while, I kept wondering what God was doing and when He would fill this long awaited place in our home with little Ashley. While bringing Willow into the world, we were approached about praying through going to the mission field full time in Haiti. I will write more later about that process, but during that time, we were so tossed about that would happen to Ashley. Would we be able to have her live with us when we move? What are the laws governing all those specifics? Should we move? Would that hurt her chances of getting her because we would suddenly be on a mission budget instead of an account that looked "acceptable" to a home study agent? So many questions flooded our minds on top of all the others related to moving a new baby and our whole world to a third world location. As you can imagine, we prayed until we were blue in the face. 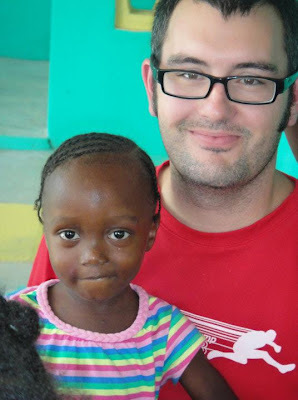 As you well know, God did answer our call to move to Haiti, in ways that knocked our socks off, especially Matt's. As we prepared to go, we hesitated many times, wondering about how much control we were supposed to have related to Ashley's future. In all of our wonderings, we finally realized that control wasn't ours to begin with. That Ashley also wasn't ours. I had journaled a thousand times before that the most important thing I could remember as a mom was that every child I was blessed with was the Lord's. Remembering this allowed me to know once again that control was out of our reach for good reason. We don't know best - He does. The most recent picture we have of Ashley. Matt's visit in September 2011. She was almost 4.